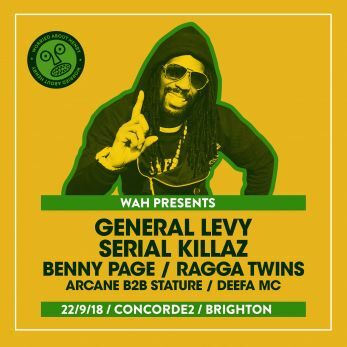 The king of Jungle General Levy joins us at Concorde 2! Joining him on the night will be legends of the scene as we welcome down Serial Killaz, Benny Page PLUS the Ragga Twins! This one is always a sell out, so make sure you cop a ticket ASAP!